Accessorize your table with this Wild Horse Centerpiece. 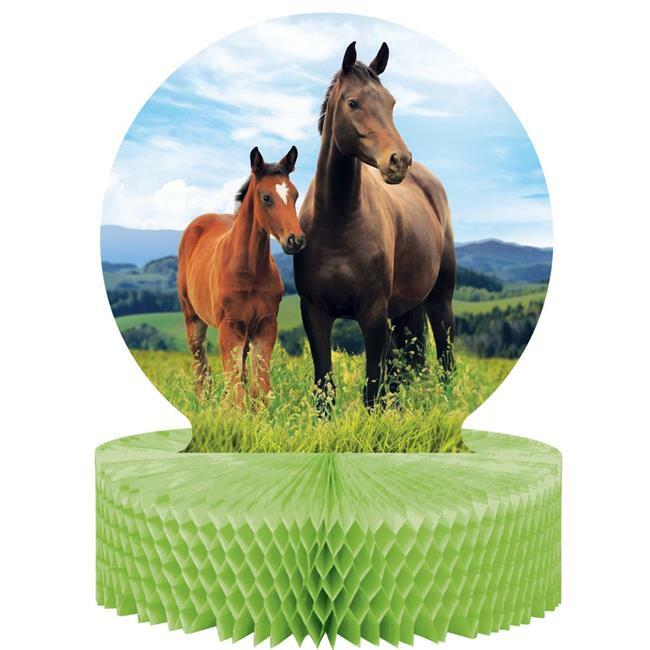 Featuring beautiful horses placed on top of a green honeycomb base, this centerpiece is the perfect thing to complete your party theme. Measures 9'' x 12'' and This centerpiece can be paired with any other Wild Horse party supplies.